Lots of agency movement this week regarding surveillance, prescription opioids production, prepaid credit cards, and prescription drug prices. President Obama signed three bills into law you’ve heard mentioned throughout the year. United Nations Security Council nominated a new Secretary-General. Historic hurricane brought heavy wind and rain, and members of Congress worked back home holding field hearings, visiting facilities, and sending letters to agency officials. Sound familiar? Today, President Obama signed three bills into law that we've covered in Gavel Down previously. The first bill provides additional protections for sexual assault survivors. 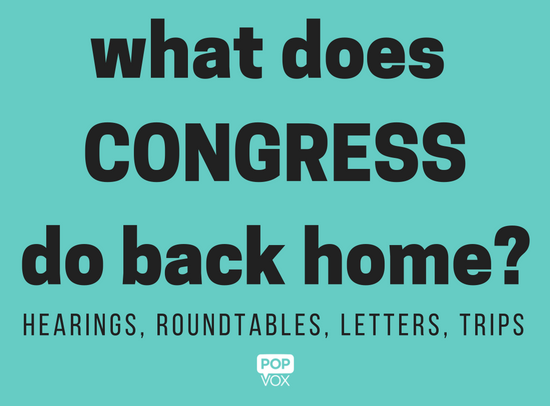 The Senate passed the bill unanimously in May, and the House did the same in September. The legislation aims to standardize how sexual assault cases are handled across states with varying jurisdictions. House Judiciary Chairman Bob Goodlatte and Ranking Member Zoe Lofgren teamed up to make the legislation a reality. Read more about how it all began from the Los Angeles Times. The next bill requires baby-changing stations in public buildings. Last month, House passed the bill by a vote of 389-34, and the Senate passed by unanimous consent. The last bill provides tax exemption for Olympic athletes returning home with medals and prizes. The House passed the legislation by a vote of 415-1 in August. The Senate passed by unanimous consent shortly after. Previous Congresses have taken up similar measures but this one made it all the way. This week the United Nations Security Council unanimously nominated former Portuguese Prime Minister Antonio Guterres to be the next Secretary-General. For several months, there's been speculation and unofficial straw polls, and the vote came this week in a closed-door meeting. All five permanent members were among the "encourage" votes, the only members with veto power. Guterres would become the U.N.'s ninth Secretary-General and the first former statesman to become the world's top diplomat. 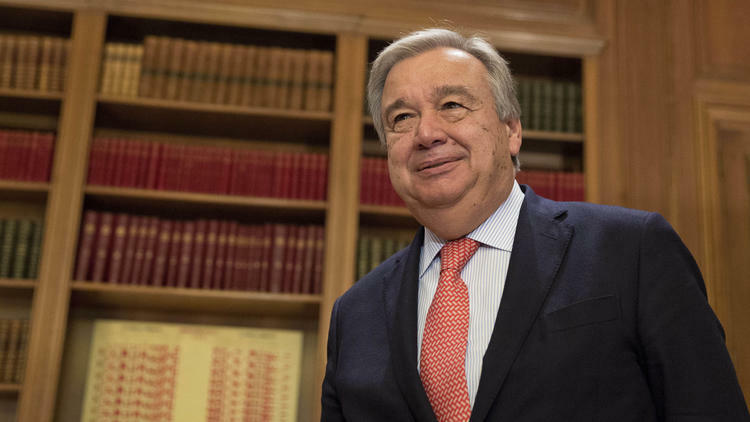 Guterres previously served as U.N. High Commissioner for Refugees, where he reformed the agency and responded to the largest displacement crisis since the end of World War II. Check out a timeline of U.N. Secretaries General. "He is a person who talks to everybody, listens to everybody, speaks his mind, a very outgoing, open person so I think it was a great choice and I'm glad that we rallied around Mr Guterres." That's nice. So what is the Secretary-General? The Secretary-General of the United Nations is the head of the U.N. Secretariat, the division administering and coordinating U.N. activities. The Secretary-General acts as the spokesperson and leader of the United Nations. The General Assembly is expected to meet next week to approve the nomination. The current Secretary-General Ban Ki-moon of South Korea will step down at the end of the year after serving two terms. So the folks that nominated him, who are they? The U.N. Security Council (UNSC) holds primary responsibility for the “maintenance of international peace and security.” The Council is divided into permanent and non-permanent members. China, France, Russia, the United Kingdom, and the United States permanently serve on the Council. Ten non-permanent members are elected for two-year terms, generally based on achieving equitable representation among geographic regions. There are no guarantees as more than 60 United Nations Member States have never been members of the Security Council. So who’s on the current Council? 10 non-permanent members: Angola, Egypt, Japan, Malaysia, New Zealand, Senegal, Spain, Ukraine, Uruguay, Venezuela. What does the UNSC do? UNSC is the only United Nations body with the authority to issue binding resolutions to member states. Any state may bring a dispute to the attention of the Security Council, but only UNSC members can vote when deciding upon resolutions, sanctions, and operations. Category 3 hurricane Matthew brought heavy wind and rain to the southeastern United States. Earlier in the week, the storm brought significant damage and loss of life in Haiti, Jamaica, Cuba, and the Bahamas. President Obama signed emergency declarations for Florida, South Carolina, and Georgia. The declarations authorize the Federal Emergency Management Agency (FEMA) to coordinate disaster relief efforts, including mobilizing and providing equipment and resources. Emergency measures will be provided at 75% federal funding. Track the storm and take necessary precautions. Stay safe, folks! Rep. Dan Kildee [D, MI-5] led a roundtable discussion about the health of students in Flint, Michigan. Bipartisan group of senators sent a letter to Agriculture Secretary Tom Vilsack regarding greater protections for horses from soring. Senate Health, Education, Labor, and Pensions subcommittee held a field hearing on rising prescription costs and EpiPen price increases. Sen. Joe Donnelly [D, IN] sent a letter to Veterans Affairs Secretary Robert McDonald regarding provision to enable the VA to restore GI Bill benefits for veterans who were enrolled at ITT Tech at the time of the college’s closure. Rep. Blaine Luetkemeyer [R, MO-3] held Constituent Service Days, responding to constituents’ issues and questions. Rep. Pete Aguilar [D, CA-31] visited new Ambulatory Care Center for veterans. Rep. Ann Wagner [R, MO-2] mourned the loss of Officer Blake Snyder of the St. Louis County Police Department. Rep. Gerry Connolly [D, VA-11] hosted issues forum for seniors. Rep. John Culberson [R, TX-7] toured the Addicks and Barker dams with the U.S. Army Corps of Engineers. Two days after Congress overrode presidential veto, Navy widow Stephanie DeSimone filed first lawsuit against Saudi Arabia. Reportedly Yahoo secretly scanned customer emails for U.S. intelligence. Experts say Section 702 of Foreign Intelligence Surveillance Amendments Act (FISA) is likely responsible. Sound familiar? Lots of FISA talk in last year's USA Freedom Act which restored modified provisions of the expired Patriot Act. Federal judge denied injunction request by four state attorneys general seeking to block the transfer of the U.S. government's internet domain name authority to an international nonprofit. Transfer moved forward as scheduled. Supreme Court denied request to rehear case that blocked President Obama's 2014 executive action on immigration. SCOTUS deadlocked 4-4 on case in June following death of Justice Antonin Scalia, leaving in place lower court ruling to halt the actions. A lot went down last week, here's your reader's digest version. Rep. Virginia Foxx [R, NC-5] is the only Republican woman in the House officially in the running to chair a committee. Reps. Barbara Lee and Linda Sánchez are competing to become vice chair of the Democratic Caucus. Federal Drug Administration met with pharmaceutical companies that produce overdose antidote naloxone and discussed changes in drug's pricing, as well as how to make the drug more available to the general public. Obama administration is considering an Adopt-a-Refugee plan that would let citizens sponsor a refugee from a country of their choice by paying for airfare, housing, food, and other resettlement costs. Idea is inspired by similar effort in Canada. Federal judge ruled the government improperly withheld documents from investors in Fannie Mae and Freddie Mac and ordered the documents' release. Consumer Financial Protection Bureau released final rule regarding prepaid cards, could affect apps like Venmo. House Republicans really love Chick-fil-A. House launched public-facing staff phone directory. President Obama published an op ed directed at Senate Republicans for lack of hearings and confirmation vote for Supreme Court nominee Merrick Garland. Vice President Joe Biden has more Ray-Bans than you. House Energy & Commerce Republicans wrote to six health insurance companies that have sued the Obama administration over the Affordable Care Act's risk corridor program. Federal judge ruled two top CIA officials will be compelled to answer questions under oath about the agency's brutal interrogation of terrorism suspects. House Democrats really like Bethesda Bagels. Sens. Grassley, Klobuchar, and Blumenthal expanded probe into EpiPen maker Mylan, inquiring whether the company knowingly and improperly underpaid state Medicaid programs. Centers for Medicare and Medicaid Services (CMS) responded that Mylan did misclassify EpiPen for the purposes of the Medicaid Drug Rebate Program. Pentagon concluded that former senior military aide used his government credit card at strip clubs, drank in excess, and improperly interacted with women. Republicans are considering a dozen different options to block ObamaCare settlements with insurers, including inserting language into year-end funding bill. Drug Enforcement Administration is cutting production of prescription opioids by 25% in 2017, citing decreasing demand as well as the opioid epidemic. President Obama commuted the sentences of 102 inmates, bringing number granted this year to 590, more than any single year in U.S. history. Oklahoma Supreme Court ruled that SB 642 is unconstitutional due to a requirement for legislation to cover a single subject. Bill would have made it a felony for a person to help a minor to get an abortion without parental consent. People are getting sick in Flint because they're afraid to wash their hands. Bees were added to the U.S. endangered-species list for the first time. Check out the endangered-species in your state. 21 states asked Department of Homeland Security for assistance in securing their election systems against cyberattacks. Secretary Jeh Johnson has considered classifying state election systems as "critical infrastructure," a move opposed by House and Senate leadership. Only one insurer will offer plans on South Carolina's exchange next year, becoming the fifth state to confirm its exchange will have a lack of competition. Chicago announced it will sever business ties with Wells Fargo for one year, imposed to hold the bank responsible for wide-ranging sham account scandal. D.C. Circuit Court reviewed Standing Rock Sioux Tribe's request to halt construction of the controversial Dakota Access pipeline. Maryland's ACA health co-op wants to become a for-profit company to avoid shutdown. Last week House passed Smith bill to exempt people who lost their insurance coverage due to failed co-ops from ACA individual mandate. British Prime Minister Theresa May announced the United Kingdom will begin the process of withdrawing from the European Union by the end of March, outlining two-year plan. Colombian voters rejected historic peace deal between Colombian government and FARC rebels in shock referendum result. Washington Post reporter Jason Rezaian and his family filed a lawsuit against the Iranian government in federal court regarding his imprisonment. Suit was brought under the Foreign Sovereign Immunities Act. Norway's Prime Minister was caught playing Pokémon Go in parliament. British pound fell to three-decade low against the U.S. dollar, dropping 15% below levels seen following Brexit referendum. Russian President Vladimir Putin suspended longtime agreement to dispose of weapons-grade plutonium after the U.S. quit efforts to work with Russia to end the Syrian civil war. Both thresholds for the Paris Agreement were achieved, meaning the agreement will go into effect next month.